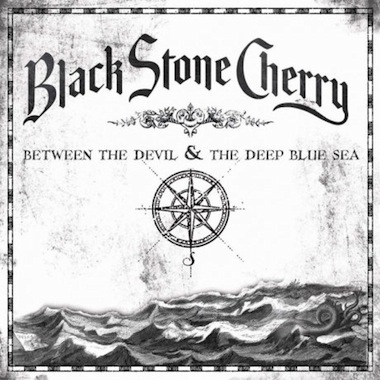 Kentucky’s Black Stone Cherry is a band who knows how to create timeless rock ‘n roll music while introducing new and innovative sounds, and the Edmonton-natives are at it again, announcing a new record titled “Between the Devil and the Deep Blue Sea,” which is set to hit stores on May 31. This marks their 3rd release on one of rock ‘n roll’s premiere record companies Roadrunner Records. This marks the first time Black Stone Cherry has not recorded in the South, this time taking up residence in Los Angeles to work with famed producer Howard Benson (Theory of a Deadman, Daughtry, Three Days Grace). The new surroundings allowed them to strengthen their relationships as both band members and friends, ultimately a detail that sets “Between the Devil and the Deep Blue Sea” above previous recordings. The raw intensity that pervades the music on this album harkens back to the early days of Black Stone Cherry, when they were a bunch of blue-collar guys just making music together for the hell of it. To celebrate the release of “Between the Devil and the Deep Blue Sea,” Black Stone Cherry is participating in an ongoing partnership with Evan Williams Kentucky Bourbon. The promotion brings 450,000 Black Stone Cherry branded bottles to shelves nationwide through June, including special mp3 offers and a chance to win a trip to meet the band at one of their shows.